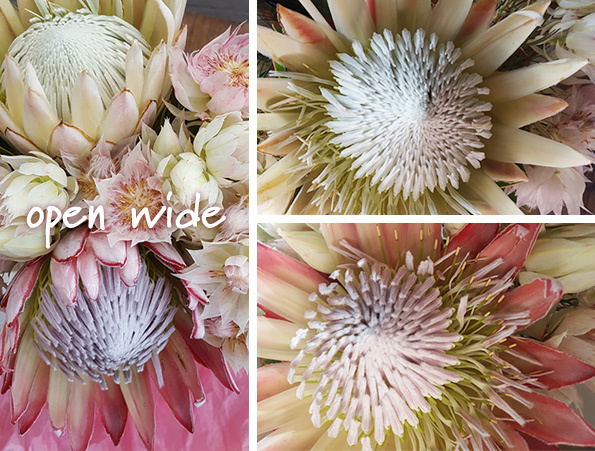 We got these proteas on the weekend. They are in the kitchen, and while we drink our morning tea we watch as the sun bursts in the window and splashes them with light. They love the sunshine - look how they have stretched themselves to gather the warmth.